Dr. Stephen An joined Cupertino Podiatry Inc. in 2018. He was born and raised in Kokomo, IN. During his childhood and teenage years he competitively participated in soccer, basketball and baseball. He is a proud Hoosier and completed his undergraduate education at Indiana University where he majored in Biology with a minor in Chemistry. After achieving his B.S. degree, he fulfilled his dream of moving to the west coast and attended the California School of Podiatric Medicine at Samuel Merritt University where he received his doctorate degree in podiatric medicine. While completing his doctorate and living in California for 4 years he confirmed this is where he wanted to establish his career. He went on to complete his 3 year surgical training at the DVA Palo Alto and Kaiser San Jose. His current interests are in general podiatry and limb salvage. 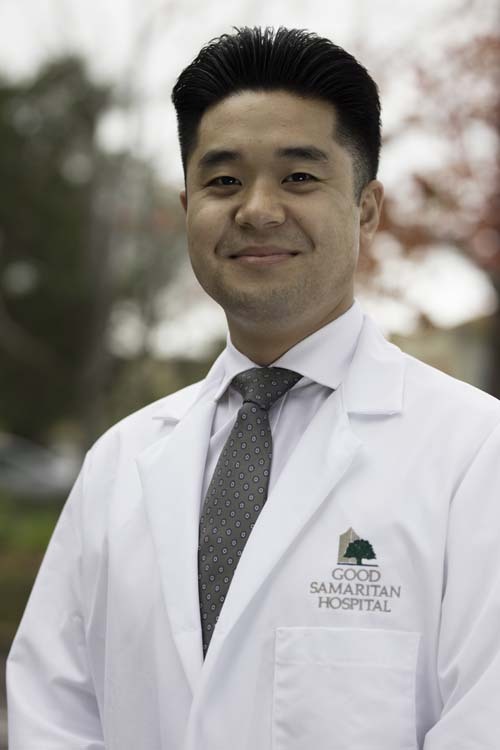 Dr. An had extensive training in wound care and is currently on staff at Mission Oaks Wound Care Center and Good Samaritan Hospital in Los Gatos. Dr. An enjoys attending, as well as participating in sporting events during his free time. He also likes to take advantage of the diverse cuisines and cultures this region has to offer. Fishing has always been and will continue to be one of his favorite pastimes.